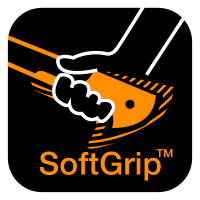 Fiskars WoodXpert Felling Lever Medium is as its name suggests, a medium felling lever which enables not only bringing down a tree but also assisting in sectioning logs and transportation. The newly revised lever tip has been optimised to help steer a tree safely as it falls while the tool in combination with the neatly attachable/detachable WoodXpert log hook lifts the fallen tree as much as 15cm off the ground to assist cutting with a chainsaw. 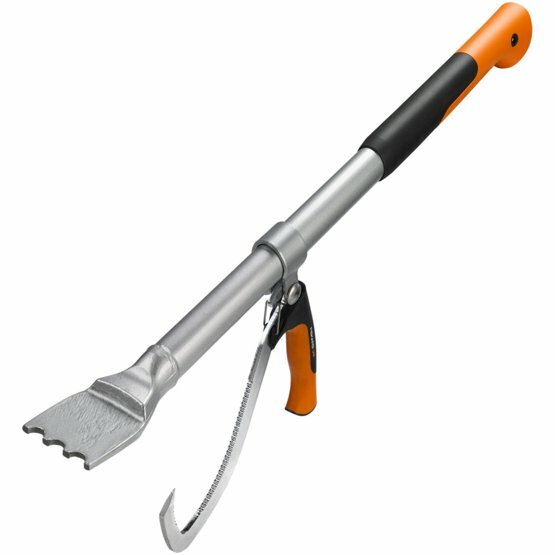 Finally, the same combination or attachment of Woodxpert log tongs (sold separately) ensures a steady hold on larger boughs for a two man lift.